6800 North Long Lake Rd. Family and friends are encouraged to wear camouflage in James' honor. This will be an uplifting open house/birthday party with food especially chocolate, a favorite of James'. 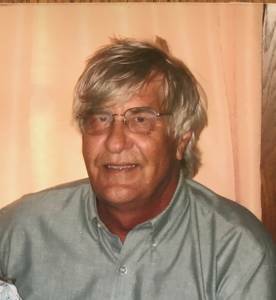 James Perry Johnson, 66, of Traverse City, regretfully passed away on the 13th of March, 2017. “Jim” who touched the lives of many through his extraordinary generosity has left behind a loving mother, Marilyn Johnson; daughter, Rachel (Randy) Steelman; two sons, James and Christopher Johnson; grandchildren, Jacob Steelman, Zander Cabinaw and Harlow Johnson; sisters, Karen (Al) Peters and Susan Johnson and brother, Bob (Beth) Johnson. James was preceded in death by his father, S. James Johnson. He was a man that had a passion for the great outdoors and was eager to pass his wealth of knowledge and experience to friends and family. As the years went on the fish and deer may have gotten bigger, but he instilled a love for the Michigan outdoors and all that it had to offer to friends and family. Jim was renowned for keeping an open door and open heart to any and all that would stop by his home. Jim always had a delicious meal and a cold beer waiting for his friends and family on their way through. Keeping in the spirit of Jim’s nature his surviving family invites any and all to come and enjoy some good food and good times celebrating the life of such a beloved man at Twin Lakes Park from 3:00pm to 6:30pm, Friday on the 21st of April, 2017. Family and friends are encouraged to wear camouflage in James' honor. This will be an uplifting open house/birthday party with food especially chocolate, a favorite of James'. Please visit www.lifestorytc.com to sign the guest book and share a message with the family. The family chose Life Story Funeral Home, Traverse City.